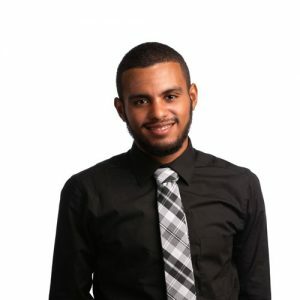 Agent Snapshot: Walter Lopez, Real Estate Agent, Ancona Real Estate Inc.
Company: Ancona Real Estate Inc.
What was your first job in the realty industry? This is actually my first time in the industry. Where did you grow up? Mostly in Miami, but I’ve been known to move around a lot. I spent some time in New York and New Jersey as well. Growing up, what did you want to be? The first job I wanted to be was a teacher. I soon found out that I didn’t have the patience to deal with children. What do you do to relax when you’re stressed? I like to unwind in nature, a park or beach, anywhere I can feel a nice breeze. If you could have lunch with a well-known figure (living or not), who would it be and why? Moshie Mana, he’s got a lot in the works as far future developments. Maybe I could convince him to give me a place to keep. Where is your favorite place to hang out? There’s a great park in North Miami, Enchanted Forest, it’s one of my favorite places in the city. It gives me a nature vibe that I really enjoy and it’s a park I use to go to as a kid. What do you love most about the industry? It would have to be the people I meet. You have to be a pretty good people person do the job right, and there is no shortage of interesting people that I get to meet on a daily basis. How do you distinguish yourself from the crowd of agents? My age is probably my biggest asset. It kind of makes me an underdog of sorts. Nobody really expects some kid to be a big shot, but I bring in a fresh new perspective with an age group that’s getting ready to enter the market. What is the most difficult aspect of your job? Probably not being able to stay in the properties that I visit. I’ll walk away from a property after closings and I get a little sad that I won’t be able to wake up in them. Where do you go to network and meet new clients? Honestly it’s really just about conversing with people. You never which person you meet is going to be the person that leads you to a sale. Whether it’s on the street, a park, or even the DMV. What has been your greatest accomplishment? So far it’s been the training I’ve received from my broker Peter. Learning the ins and outs of such a competitive industry by a rising star is an incredible honor. What was the last good movie you saw or book you read? Deadpool 2, a really funny feel good movie. What is your favorite restaurant? IHOP, I love breakfast. Pancakes and bacon any time of the day. Architecturally speaking, what is your favorite building in Miami? Probably the 1111 parking garage in Miami Beach, the fact that something as mundane as a parking garage could become an object of beauty just blows my mind. What kind of car do you drive? Nothing fancy yet, a 2014 Toyota Camry. Smartphone or paper? Definitely a smartphone, product of my time I guess. What is your favorite city after Miami? Paris, if Miami and most other US cities are about flash and spectacle, Paris flips the concept on its head. It’s almost other worldly it’s a completely different experience. In 10 words or less, what is your advice for someone new to the industry? Keep your head high and talk to people. Who are your favorite people to follow on Twitter? Call me crazy but I don’t have a Twitter. But if I had to choose probably Wendy’s. I hear she has a lot to say.